Tally counter offers a four-figure register, finger ring to hold it comfortably and automatic reset button. White numbers are easy to see on a black background. 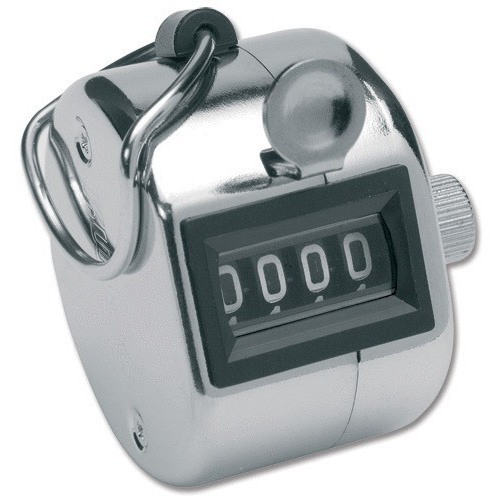 Steel tally counter is chrome-plated and precision-engineered. Register ranges from 0000 to 9999.